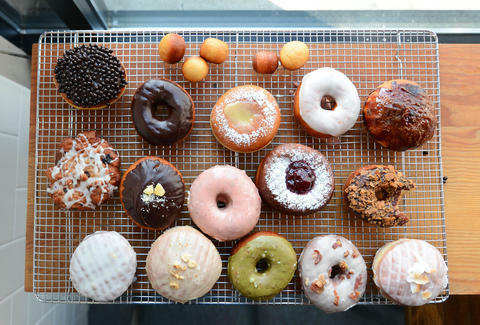 Are These Seattle's Best New Donuts? 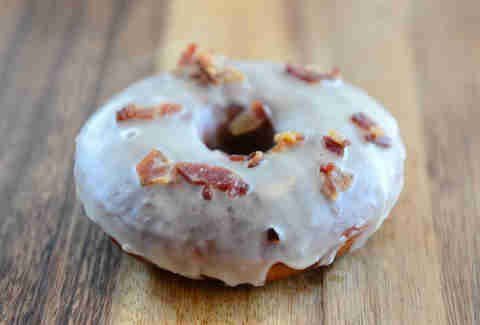 Drenched in a coating of maple glaze and topped with candied bacon bits and sea salt, this tasty donut is the perfect balance of sweet and savor... wait, did you say BACON?! 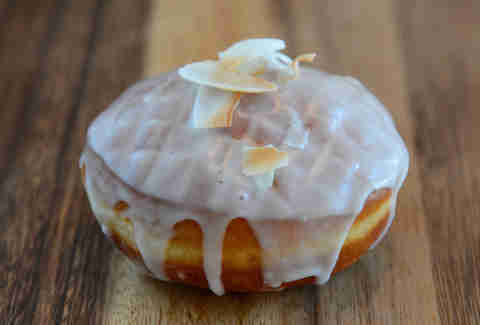 Topped with toasted coconut, this coconut glaze-dunked number boasts a slightly tropical flavor and a filling that's so good that Wu-Tang'd probably tell you the "C" in C.R.E.A.M actually stands for creme. Filled with salted caramel pastry creme and topped with burnt sugar, this sucker gives actual crème brûlée a run for its money. 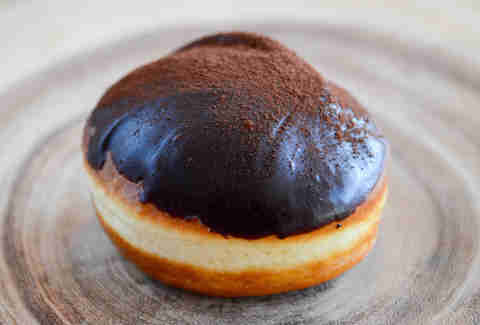 Filled with a coffee marsala and topped with espresso cocoa dust, this is as close to tiramisu as a donut could possibly get and should probably be paired with a shot of the (Stumptown) espresso. 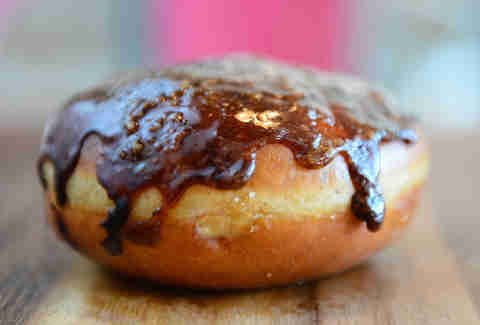 A PB&J donut? 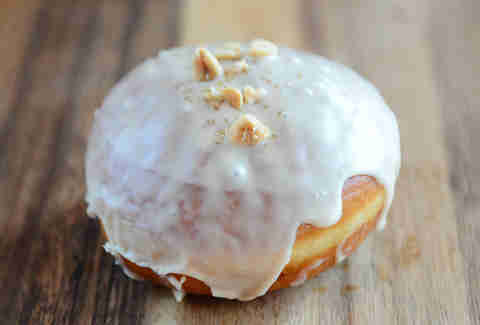 A PB&J donut made with fresh, seasonal berry jam, coated in peanut butter glaze, and topped with a salted Spanish peanut crunch topping?!? Sign us up. 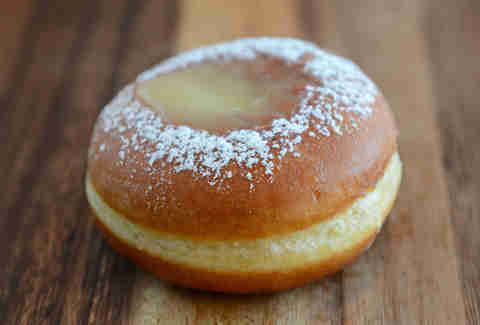 Preserve your happiness with this citrusy fried dough, which is filled with lemon curd spiked with pink peppercorns, cardamom seeds, and sea salt. 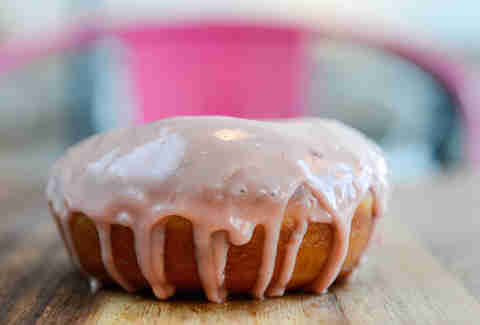 Generously coated in a light and sweet strawberry buttermilk glaze, this donut is the perfect confection to kick off spring. 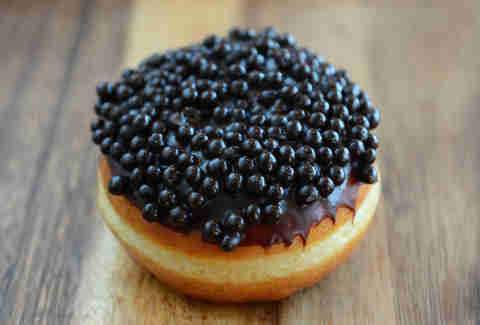 Guess what the tiny little chocolate balls on top of this decadent donut look like? Wait, how'd you know we were gonna say fish eggs? 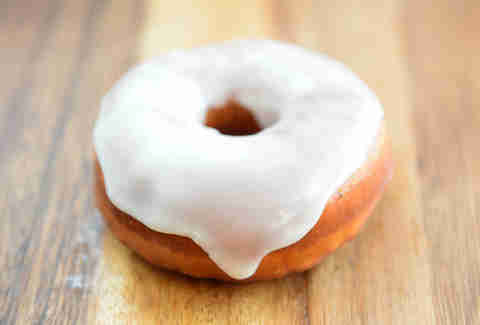 Slightly citrusy and indelibly sweet, this classic-looking glazed number tastes like spring... and is another thing you can't miss once the weather gets warmer. 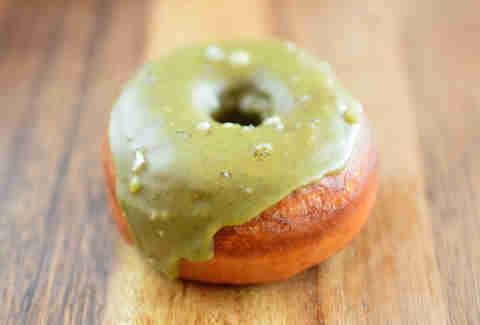 Topped with a green sea-salted pistachio glaze, this nutty addition to Cupcake Royale’s arsenal of sweets is a truly unique never-before-seen flavor. 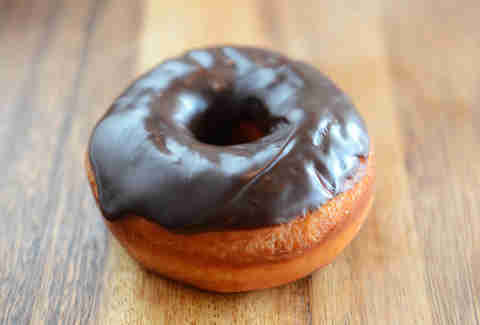 A donut after Homer Simpson’s heart, this super-simple and delicious donut is begging to be dunked in a hot cup of joe. 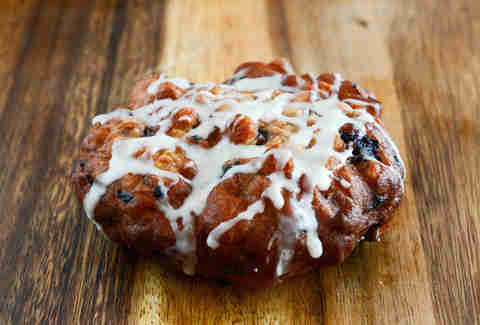 Taking the notion of the fritter to the next level, this fritter has a generous lattice of glazing, as well as fresh huckleberries. 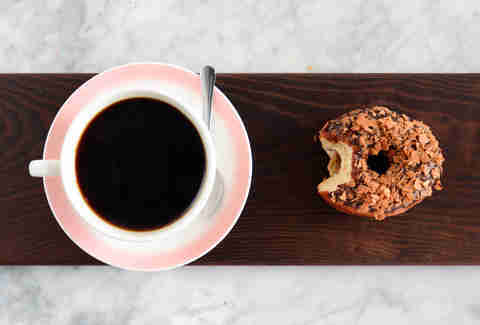 Topped with crunchy cornflakes, this donut is a perfect mixture of soft and chewy, not to mention lightly crunchy and sweet. 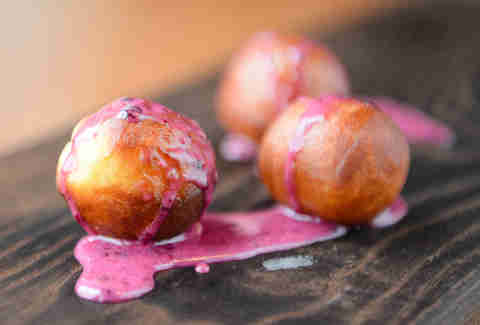 Last, but definitely not least, are these bite-size morsels of fried dough that you cover yourself in any of RD's seriously sweet glazes like strawberry buttermilk or rich chocolate, but since technically this IS your first Rodeo, trust us and just go with the former.